Vehicles are extremely important in our daily lives. We need them to get us to work or to school, or generally anywhere we want to go. Whether they are private owned vehicles or a form of public transportation, vehicles get us from one place to another in a short amount of time. Cars need more maintenance and care in areas more prone to flooding. Engines, transmissions, and exhaust systems in the Philippines are given more caution during typhoon season since the cost of repairs for a flooded car can get more expensive than buying a new one. Tropical countries like the Philippines incur a high volume of rainfall each year. 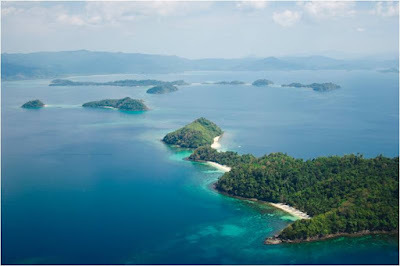 The Philippines is an archipelago made up of roughly 7,107 islands. The Philippine Coastline is measured to be 36,289km in total. The country is highly susceptible to storm surges due to low lying islands and long stretches of coastal areas. Its concave and gently sloping coastlines contribute to the enhancement of these storm surges. The country's geographical location also contributes to its exposure to storm surge hazard. It lies in the south-western part of the Northwest Pacific Basin, which is considered to be the most active ocean basin that generates an average of 26 tropical cyclones per year. Storm surges are the abnormal rise of water over and above the predicted astronomical tide generated by the force of the wind cyclonically moving around the storm. Flood surges occur when bodies of water overflow after a period of heavy rainfall. Large volumes of water cause flooding, especially in urban areas where the drainage systems are not suitable or sustainable enough to cope with the amount of water. Water, then, has nowhere to exit. The country's Department of Science and Technology and its flagship disaster mitigation program National Operational Assessment of Hazards conducted a study to determine the Philippine coastal communities' vulnerability to storm surges of the same magnitude as those generated by the devastation of Haiyan. What started as a low pressure region in the West Pacific Ocean quickly escalated to Category No. 5 due to favourable environmental conditions. 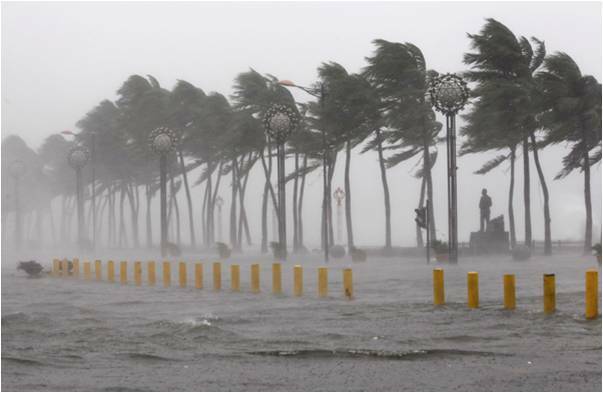 The devastation wrought by the typhoon emphasized the necessity to forecast storm surge heights and deluge in the coastal regions. 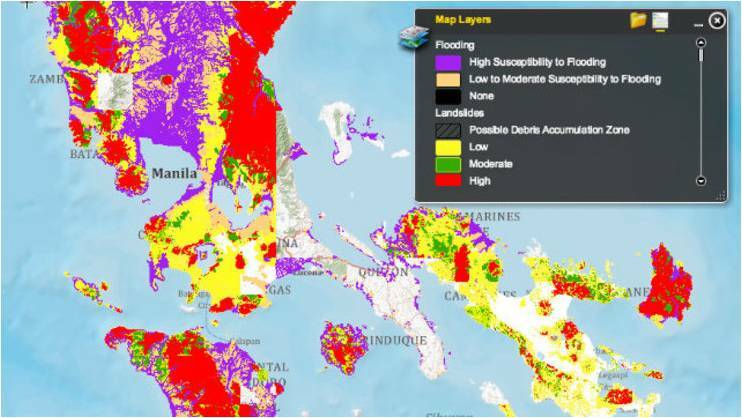 The study calculates the maximum probable storm surge height for every coastal locality through Haiyan conditional simulations with tracks of tropical cyclones that have entered the Philippine Area of Responsibility from 1948 to 2013 using the Japan Meteorological Agency (JMA) Storm Surge Model, a numerical code that simulates and predicts storm surges spawned by tropical cyclones. 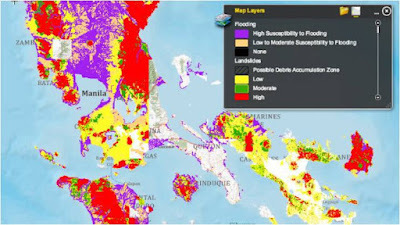 The results were used to generate comprehensive and data-accurate maps of areas in the Philippines vulnerable to storm and flood surges. The flow of water is controlled by the terrain of the land over which the water flows. The low elevation in the coastal seaward direction is reason for high flooding in the area. The shape and characteristic of the coast increase the potential to generate high surges. Coastal areas in Central Visayas such as Samar, Leyte, Iloilo, Palawan, Cebu, Negros, and Bohol are the most vulnerable to high storm surges. Vulnerable areas in Southern Luzon include Bicol, Quezon, Metro Manila, and Bulacan. In Northeastern Mindanao, the most vulnerable area is Surigao. Characteristics of these regions have sloping coasts, shallow bays, and within the regular typhoon path. Typhoon Haiyan in 2013 was the 25th typhoon to enter the Philippine Area of Responsibility (PAR). Flood surges are common in Manila. During typhoon seasons, make it a habit to regularly check weather updates and the duration of rainfall. Keep in mind that higher rainfall means a higher probability that roads around the Metro are flooded. 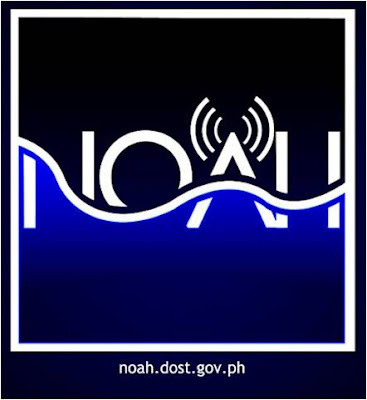 The DOST-NOAH website helps in pinpointing areas of flooding. Car owners should consider taking caution in driving through flood waters. Water can get pulled in a running engine through the air intake, resulting in untold damage to the engine. Consider using public transportation instead of risking damage to the engine. Keep in mind that engine damage is more difficult and costly to repair than typical exterior damage. In the extent of flooding, make sure that your car is placed on a higher level. Make use of mall parking lots to keep your car safe. 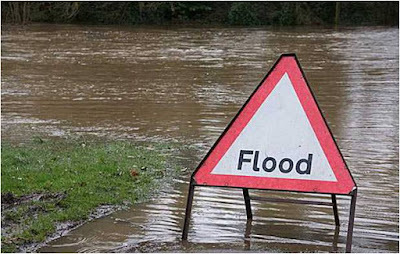 Flood covers are also able to aid in protecting your car from water damage. Remember that in times of calamity, being cautious and taking the utmost precaution will keep you and your family safe. Driving your car through flood surges will cause a lot more damage than you anticipate. Be practical. Check the weather reports, especially in typhoon countries like the Philippines. 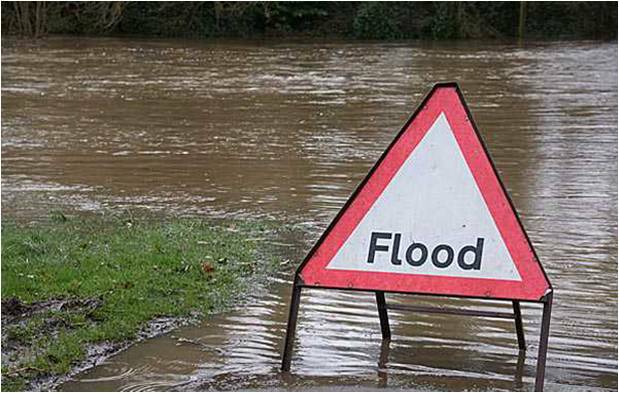 Avoid roads that are known for flooding. Check the weather reports, the news, and the DOST-NOAH website to make sure. When the need arises to have your vehicle checked for flooding and internal damage to circuits, expert automobile service centres are more than willing to help you check your transmission, circuits, intake systems, and exhaust systems in the Philippines.